The number of labels is converted from the edit control text to an integer, and the equation (arow mod i=0) makes sure that every i rows, a new page is started. And that concludes the simple addresslabel printing application. 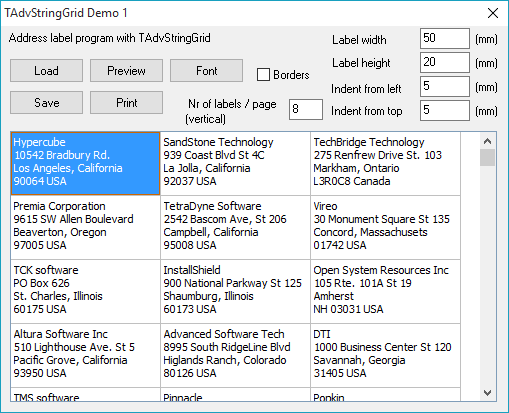 With TAdvStringGrid it takes less than 30 lines of code you need to write yourself. You can download this example application here and experiment for yourself.